MUCH ADO ABOUT STUFFING: Stand By Your Plan. Kitsch. 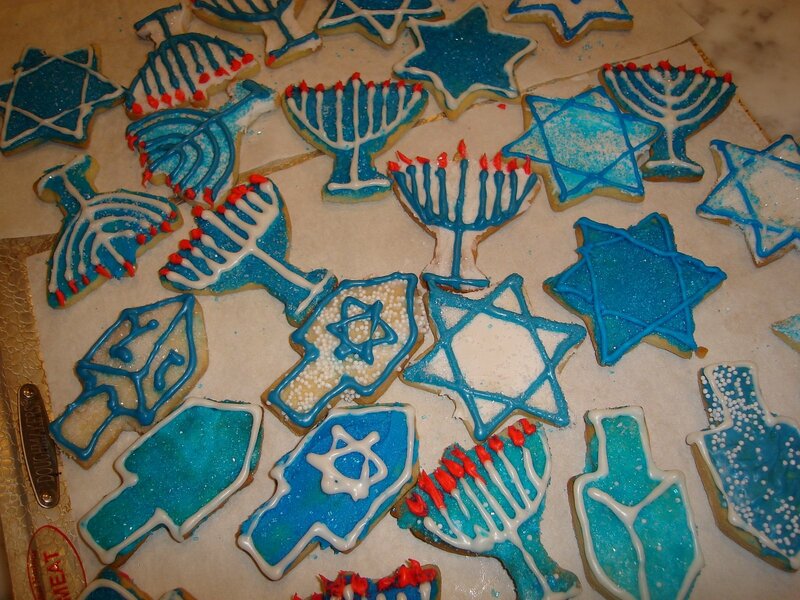 Lessons From Roses and Hanukkah Cookies. A Health Warning. Stand By Your Plan. Kitsch. Lessons From Roses and Hanukkah Cookies. A Health Warning. Stand By Your Plan. Kitsch. Lessons From Roses and Hanukkah Cookies. A Health Warning. AND A NEWS FLASH!! I just wanted a signature CLHC. And I have really been working on it. You know I have. But you know, not that I am necessarily accepting defeat, I have come to the conclusion that you just can't do that much when you are crippled by cerulean artificial coloring. 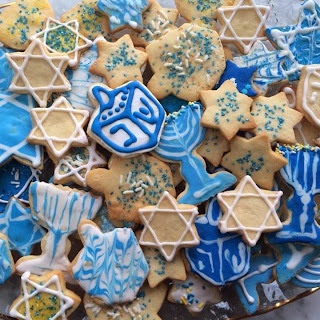 It is just a crappy ugly color on cookies, and no manner of sprinkle or sparkle, icing or glaze, no piping tip, no cookie press, no secret recipe is going to make a cookie as cute as a gingerbread man. And that rose is just sticking to the plan. 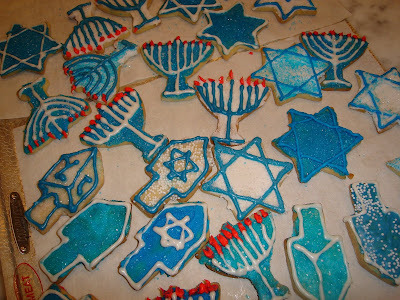 And if it can bloom through Chanukah I can keep making cookies. But. Wait. That's not the only lesson. Want to hear the real lesson? 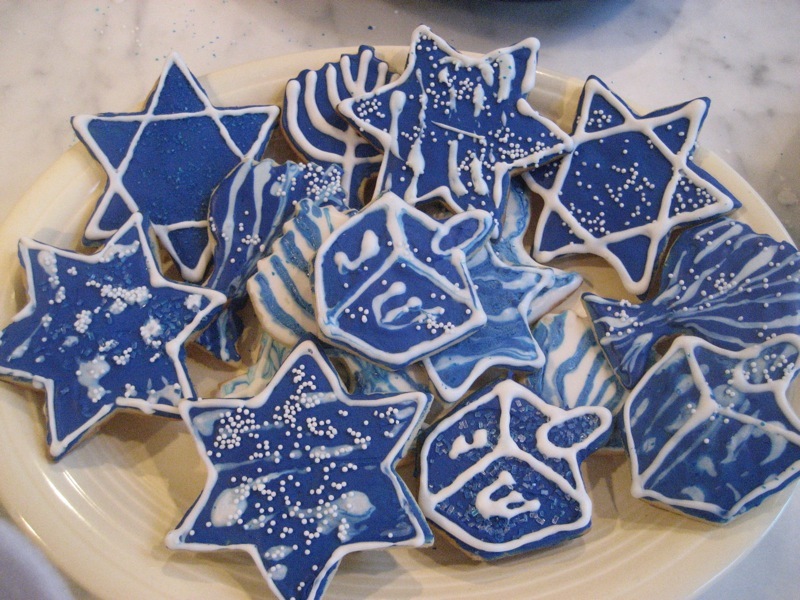 Blue food coloring is TERRIBLE for you. IT IS! It's been banned in Austria and Belgium (they know about cookies), Denmark, France, Germany, and Switzerland. You can read the details, but, you know, I think I am just going to follow the great patissieres of Europe, after all, they invented puff pastry. And Gingerbread Men. What do you think? Blue-matorium? I submit my earnest attempts for consideration. BLUE M&Ms can WHAT? Read for yourself! 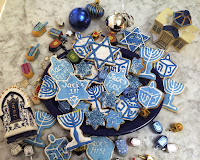 feeling blue makes me sad but reading your hanukah blue trial made me smile. I can taste the yummy blue and white cookies and cake. Thanks for adding your light to the holiday.